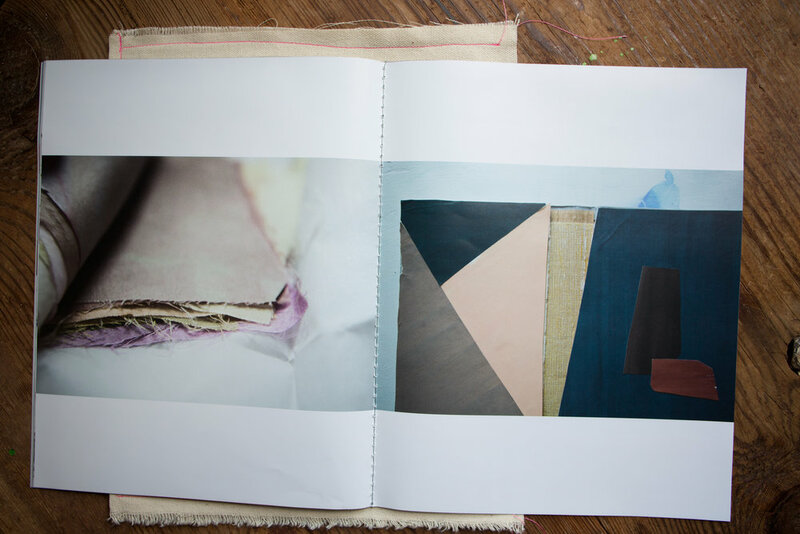 with a sewn-binding, volume two shares glimpses of color and pattern. made on repeated visits to susan hable's painting & design studio, rinne allen's photographs capture the vibrancy and vitality of susan's workspace. this is a soft-bound book. 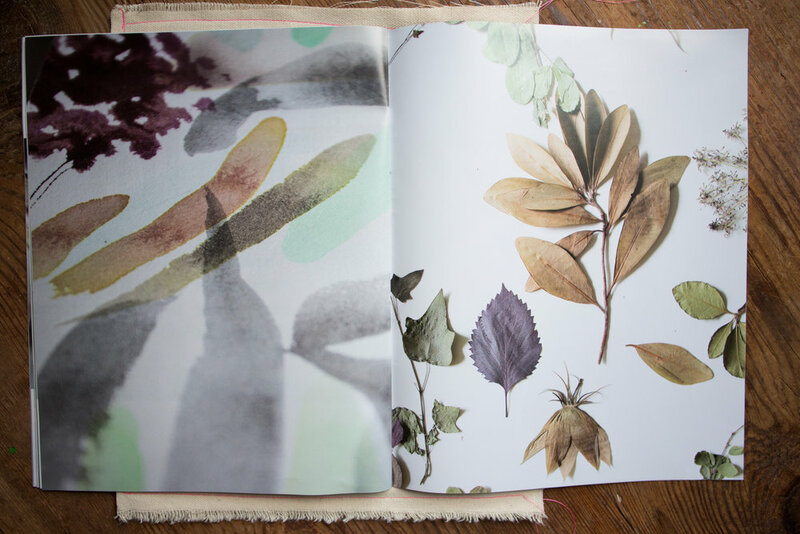 this book features a detail of a watercolor by susan hable and comes cased in a sewn canvas sleeve. 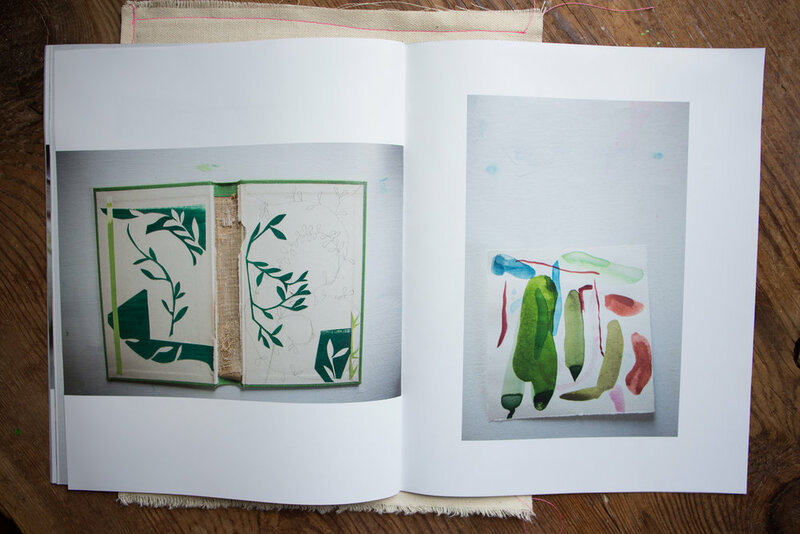 inside the book are colorful glimpses & remnants found by rinne in susan's painting & design studio. 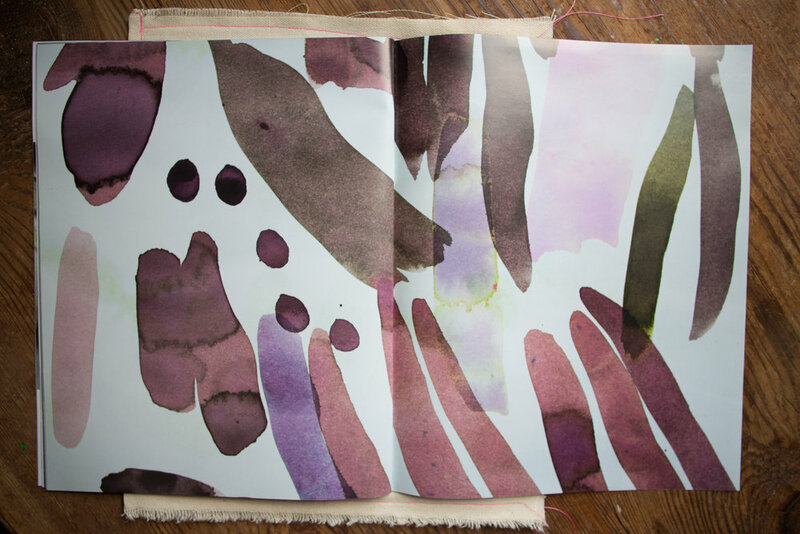 below are a few spreads from the book, showing susan's working methods and how she plays with color.